“For you, Tommy, ze war is over!” The Germans always said this to captured British soldiers in the war films that were such a staple of my childhood. Of course they were completely wrong, as Tommy invariably joined an escape committee and made an ingenious exit from his prison camp a couple of reels later. But for me the General Election certainly is over, because I cast my vote on Saturday. It feels wrong, just sticking an envelope in a post box rather than making a cross with a stubby pencil in a rickety plywood booth, after joshing with the party canvassers outside, and being ticked off the register by an official. Not that there were many canvassers to be found outside the long demolished Callaly Women’s Institute hut, where I cast my last vote in person in Northumberland. The election after that I was away on business so I asked for a postal vote, expecting it to be a one-off, but it turned out to be a permanent arrangement. Now, I can see in theory that voting 12 days before the polls open is completely wrong. One should hear all the arguments before taking a view on any debate. But leave it too long and you start to worry about your vote missing the count due to postal delays. And you end up, as I did in 2010, driving to the nearest polling station to hand over your postal vote in person. Which seems frankly ridiculous. In any case, personal acquaintance with one candidate, and the conviction that she will be an excellent constituency MP, made her my absolutely obvious choice. I’d like to think I would still have voted for her if she had not been standing for the party to which I owe well over 40 years of tribal loyalty. Naturally I’m going to feel pretty sick if, in the last week of the campaign, someone uncovers a secret off-manifesto commitment to slay all first-born sons, ban the wearing of ties or make forehead identity tattoos compulsory. This election bears some similarities to that race with its two evenly matched teams slogging hard for the finish line. Though for the comparison to work fully we would have to add an SNP speedboat weaving back and forth across the course, threatening to upset the Conservative and Labour eights in its wash.
Plus a UKIP cabin cruiser, well stocked with gin, a Green pedalo, a Welsh Nationalist coracle and a Lib Dem submarine (actually a sunken coxless four). 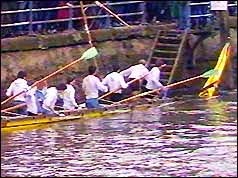 The one and only time I went to watch the boat race, because I lived in London and could think of no excuse, it did not happen because Cambridge sank before the event had even started. At least there is no chance of being denied a fascinating and unpredictable spectacle on the night of May 7th/8th, for which I will lay in Champagne either to celebrate or to drown my sorrows. I have sat up for every election since 1970, when I enjoyed my first “Portillo moment” as the outgoing Labour foreign secretary George Brown lost his seat at Belper. That was an election the Conservatives were not expected to win; I can vividly remember the BBC bringing on a signwriter to paint some more digits on the Tory side of their swingometer. 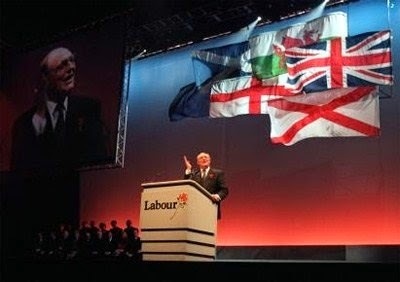 The election of 1992 was also a pleasant surprise for those of a Conservative persuasion, though I don’t suppose there is any hope of Ed Miliband holding a triumphalist rally in Sheffield and repeatedly yelling “We’re all right!” to repel wavering voters. Still, once every couple of decades the pundits seem to get it wrong. 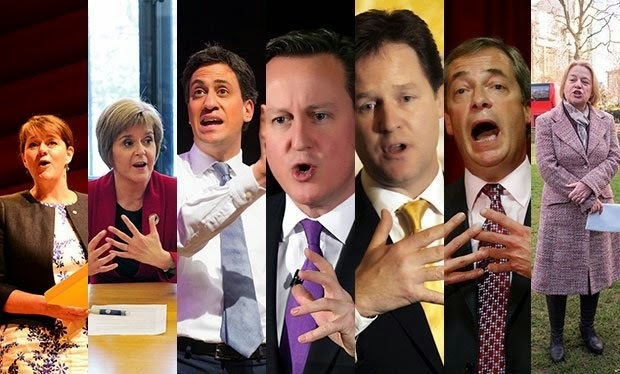 Let’s see if the pattern holds next week, with an unexpectedly decisive result for either would-be Prime Minister. As I always say at weddings, may the best man win.